Lamar Odom is not a punchline. He’s someone who has lived in a state of self-medication as a means of self-preservation. 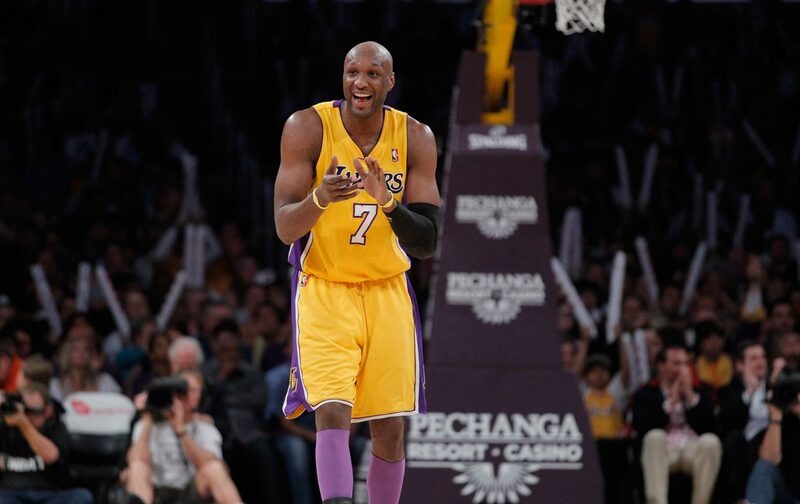 It’s difficult to not be sickened by the media noise—and social media sewage—surrounding Lamar Odom. The onetime NBA star is fighting for his life in a hospital bed after allegedly taking a deadly combination of drugs in a Nevada brothel. Odom has a history of illegal drug use, psychological pain, and a litany of family tragedies that would chop down 99 percent of the human population. Odom at times would write the names of his deceased relatives on his sneakers. They included his mother, Cathy Mercer, a corrections officer who died of cancer when he was 13, and Mildred, the grandmother who raised him and passed away early in Odom’s NBA career. Lamar’s father, Joe Odom is a disabled vet who has wrestled with heroin addiction. I met Odom when he was 20. I assumed his ego would be as large as his talent, given his 6′ 10″ size, point guard skills, and New York City pedigree. I assumed his well-known personal tribulations would make him guarded. I could not have been more wrong. Instead, he was just… nice. He wanted to be liked, and he was beloved. He managed to happily subsume his own individual greatness in the name of team goals on two Laker championship teams. Even with all of the tragedy he carried on his back, Lamar played an NBA career where he was almost without exception the most adored person on his team. And yet so many of the media takes are steeped in judgment and mockery. At a moment like this, we should reflect on Odom’s own words. Lamar Odom is not a punchline. He’s someone who has lived in a state of self-medication as a means of self-preservation. Now he’s fighting just to live. Unless you are sending out prayers for his survival, please just shut the hell up. That goes for everyone from the bottom-feeding Piers Morgan to the random Twitter egg. Too many people are too destroyed by this to have to sense your bile. Be better than that for them. Be better than that for Lamar Odom. Be better than that for everyone who carries the weight of tragedy yet still makes others happy to be alive. * Thank you Shalin Bayansake for that transcription.